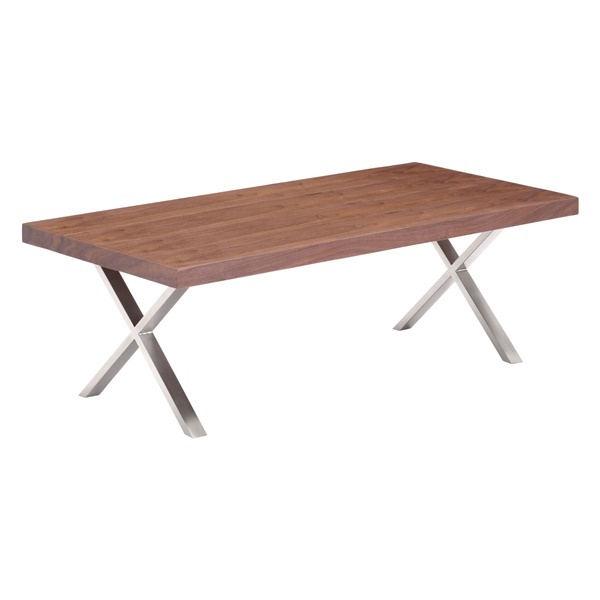 Featuring the organic beauty of natural walnut tones and the sleek style of heavy metal, the Renmen Coffee Table by Zuo Modern offers the best of both worlds. Perfectly at home in a contemporary or transitional space, this coffee table is full of fabulous design. It has a smooth rectangular surface made from MDF wth a wood veneer. The base is brushed stainess steel for a long-lasting design. Place the Renmen Coffee Table by Zuo Modern in front of your couch to keep items at hand while you're lounging on your sofa. This cute coffee table coordinates with the entire Renmen collection.